The sun-drenched hills of western Sicily bring forth wine with such a bright and satisfying variety of flavors, you’d never choose just one. With the expertly blended wines of Feudo Zirtari, you won’t have to. Our rich, balanced wines are masterful blends of the best Sicilian varietals that bring together amazing flavors that are as easy to choose as they are to love. Just as a sculptor fashions a block of stone, the Sicilian sun and landscape shape the soil, investing it with the profound complexity. 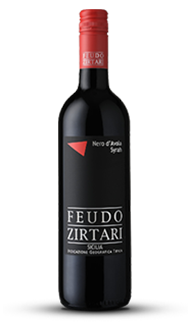 The promotion of native grapes and the reinterpretation of international varieties grown here give the wines of the Feudo Zirtari range their excellent quality and vibrant personality. 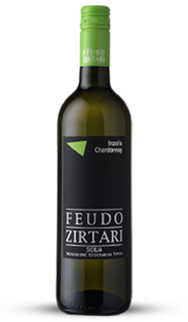 Feudo Zirtari’s vineyards lie in one of Sicily’s finest wine zones. With our grapes grown over hundreds of acres and a variety of soil types, we are able to cultivate, select, produce, and blend the exciting combinations of flavors and aromatics that make our Zirtari Rosso and Zirtaro Bianco wines so easy to choose and to enjoy. Floral, fruity, and balanced. Share a glass of this delicious white blend over your next meal. Rich, elegant, and refreshing. It’s all the things you love about Italian reds, subtly blended to enjoy, anytime.